If you, your business, or community would like to help sponsor TPRF's July 20th Annual Gala Benefit in Westlake Village, CA, there are still some FRIENDS OF TPRF WORLDWIDE sponsorships available. This is a great way to support a great charity -- one that has provided more the 1.5 million meals for people in need since 2006 as part of it's innovative Food for People program. Additionally, it's Peace Education Program is making a huge difference in prisons, schools, hospitals, retirement homes, colleges, and many other facilities around the world. Fostering dignity, peace, and prosperity is what it's all about. Click here for more info. And click below for the number of meals served by FFP in 2013. OK. Update time. 20 selfies have been submitted so far to TPRF's Know Thy Selfie campaign -- a fun way for everyone to participate in this year's Annual Gala Benefit fundraising efforts. That's a good start, but we need another 100 to be submitted by July 15th for the video to really fly. You in? All you need is a smart phone, four minutes, and the desire to help foster dignity, peace, and prosperity in the world. This slide and many other inspiring moments await you at TPRF's Annual Gala Benefit, in Westlake Village, CA, on July 20th. Still some tickets left. Click here for more info. KNOW THY SELFIE Goes Viral! OK, so I'm not a great photographer and the lighting is lame. Big deal. In the grand scheme of things, it's really not all that important. 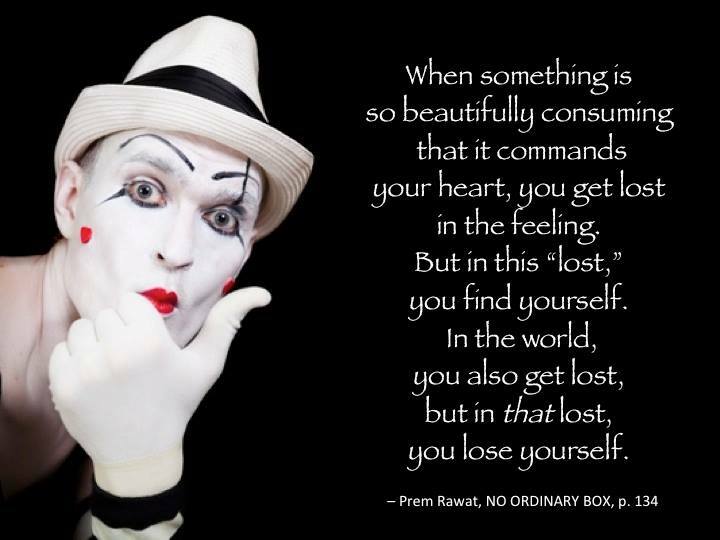 What IS important? I just emailed my selfie to tprfselfies@gmail.com after making a donation to TPRF. My selfie (and yours, hopefully) will be part of a fun video to be premiered at TPRF's Gala Benefit, on July 20th, at the Four Seasons Hotel, in LA. The video will also be posted to TPRF's YouTube channel on the same day. Come join in the fun. All we need are another 112 selfies submitted by July 15th so we can make an awesome video celebrating YOU and the other generous supporters of TPRF who have said YES to making a difference in the world. 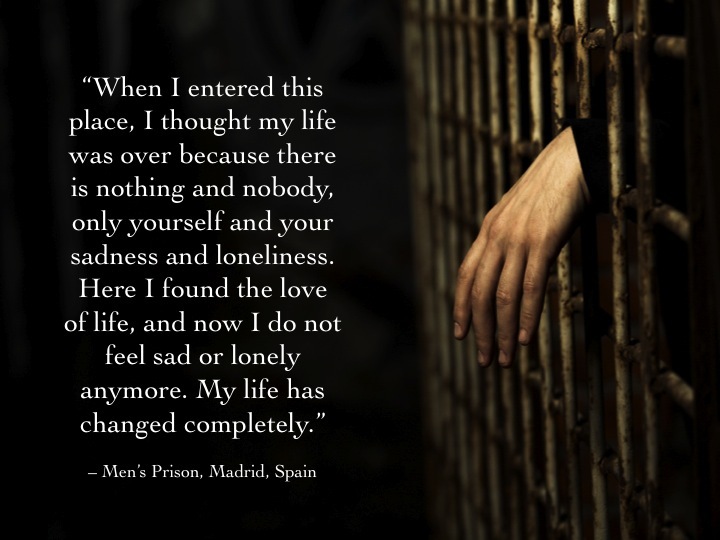 The quote above is from an inmate in a Spanish prison who participated in TPRF's Peace Education Program. If you want to support the work of TPRF so more inmates (and hungry children... and nursing home residents... and people in hospices... and disaster victims...and many other people in need) can have more dignity, peace, and prosperity in their lives, consider making a donation to TPRF as part of it's Annual Gala Benefit fundraising campaign. Every little bit helps. Or if you want to be in our video that will be premiered on July 20th at the Four Seasons Hotel in LA and online at TPRF's YouTube Channel, become part of our fun Know Thy Selfie campaign. As Robert Louis Stevenson once said: "You can give without loving, but you cannot love without giving." One of the most popular quotes in the world, "Know Thy Self", has long ago been attributed to the great Greek philosopher, Socrates. It's popularity, some say, can be attributed to two things: its brevity and its profound meaning. Recently however, an archeological dig in Greece has revealed a possible new interpretation of the quote -- one that Greek linguists are claiming to be "Know Thy Selfie." 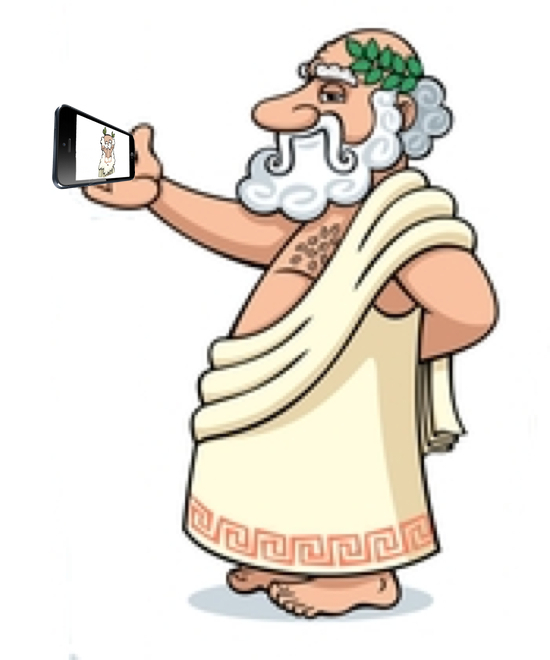 Apparently, the archeological dig has unearthed a sketch of Socrates holding some kind of device in his right hand -- what leading pundits are now asserting to be an early predecessor of the cell phone. 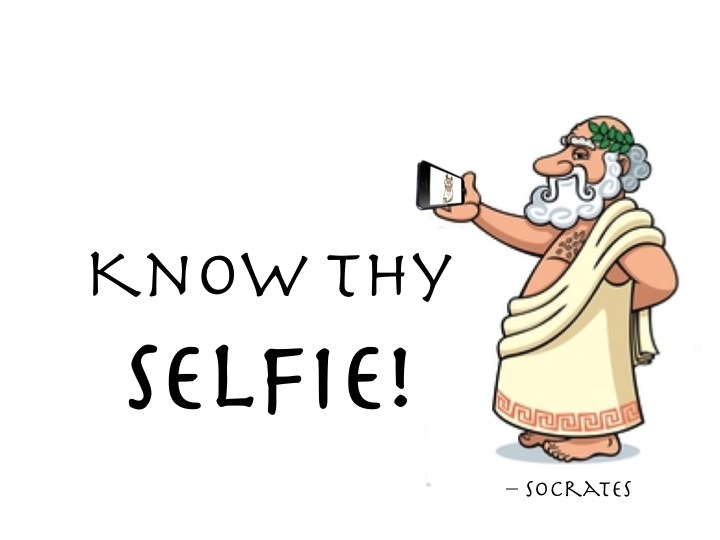 Inspired by the profound implications of this finding and greatly taken with the Greek principal of participatory democracy, TPRF has decided to launch its first annual KNOW THY SELFIE campaign -- one I warmly invite you to participate in. It's simple to do, a lot of fun, and may very well change the course of Western Civilization. Eastern, too. 1. Make a contribution here to the Benefit campaign in any amount from $1 to $499. 2. Email your selfie and name to tprfselfies@gmail.com by July 15th. 4. The video will be published on TPRF's YouTube channel at the time it's shown at the event. 5. 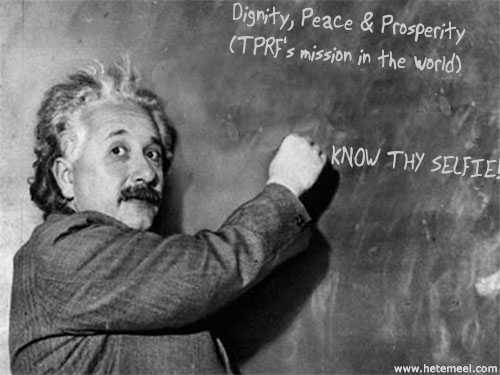 TPRF's fundraising efforts will succeed, YOU get your 15 nanoseconds of fame, and Socrates gets a free upgrade on his quote. 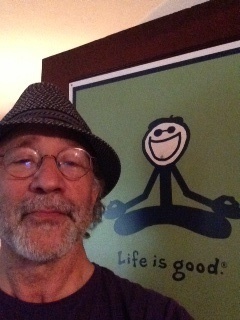 Even if you can't make it to LA for the Benefit on July 20th, you can still participate in the fun. No donation is too small. 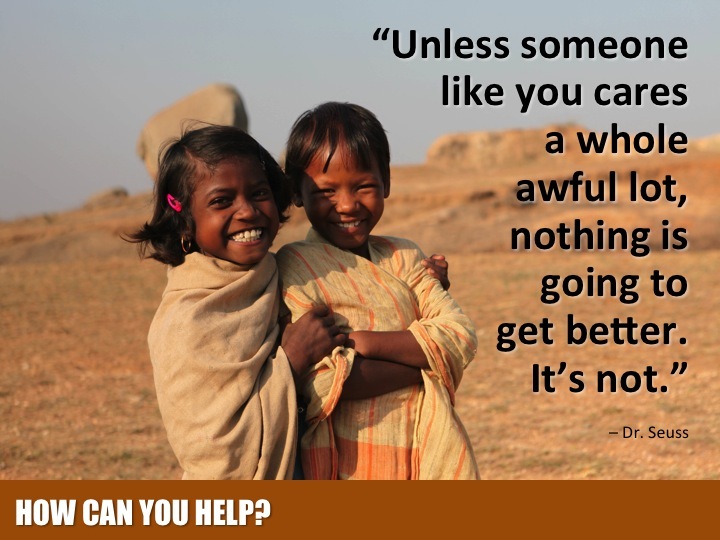 You can still help people, everywhere, know themselves. Once upon a time there was no time. No time and no space. No heroes, no plot, no drama, no obstacles, no twists, no turns, no hero's journey, no redemption, nothing to learn, nowhere to go, and no one needing to be saved. The sky was blue. The trees were green. People danced for no reason, sang like the birds, and looked up at the sky and down at the ground with the same reverence. 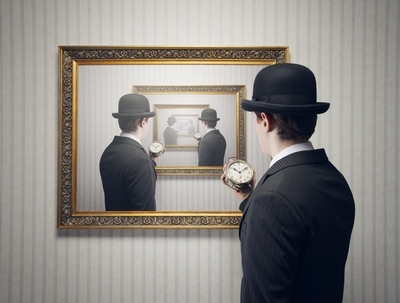 This was the time before story, before the need to understand, make meaning, convince, persuade, teach, transmit, entertain, distract, or make a single point. The point? It was already made. And everyone already understood. Hmmm... I thought about writing THIS story, but then it dawned on me, how presumptuous that would be, how full of paradox, contradiction, Facebook Likes, Tweets, lists of things to do, copy edits, me, cash projections, reviews, complaint, business, and all the other assorted flora and fauna of life AFTER the story needed to be told. So I took out the garbage, washed the dishes, and walked the dog. This is not available on Amazon, nor will it ever be. Check back here, on Monday, for an update on TPRF's Annual Gala Benefit in Westlake Village, on July 20th. You are invited! (NOTE: If you cannot attend the Gala, you can still participate virtually! 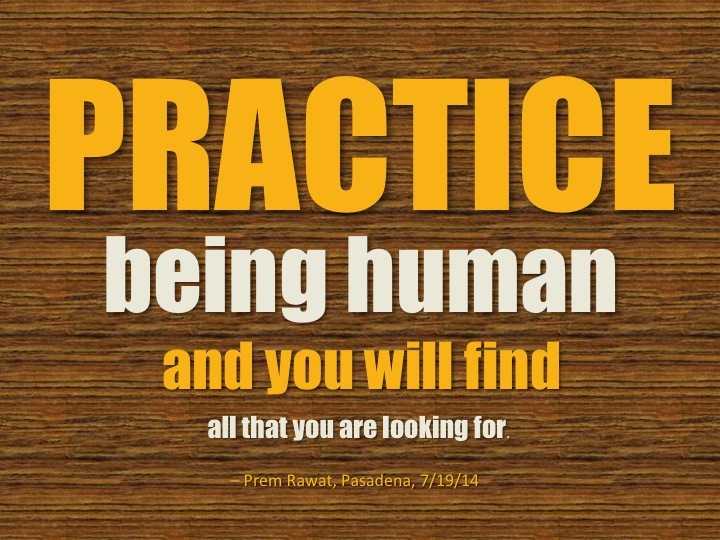 More info about HOW you can do that will be posted on this blog and also on TPRF's Facebook page. Stay tuned!